* Dominicana Goes Tribal: Monica Moscarelli and Rob Atencio and their band. * Yo Bailo en Tabla: The Spring Tale. A theater-dance show. 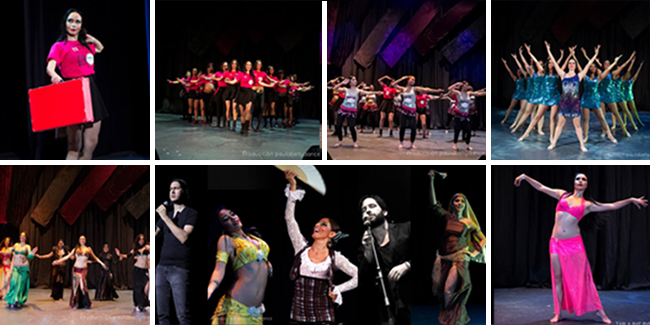 * Gala Rising Stars: represented by the dancers and students of Paula and the guest of the Dominican Republic, Rosanna Valera. It was a night of many emotions shared by all artists and the public that accompanied Paula through her School and Productions journey that closed with a remarkable ending: New York New York song, and a beautiful farewell. * Dominicana Goes Tribal: Mónica Moscarelli y Rob Atencio y su banda. * Gala Rising Stars: representado por las bailarinas y alumnas de Paula y la invitada de Rep. Dominicana, Rosanna Valera. Fue una noche de muchas emociones que fue compartida por algunos de los artistas, estudiantes y público que acompañó a Paula en su viaje de su Escuela y Producciones su país, que cerró con broche de oro: New York New York y una hermosa despedida. ENGLISH. 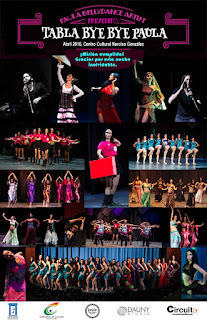 Paula has produced unprecedented Oriental Dance shows in the Dominican Republic: the first Tribal Fusion Festival; The country's first Oriental Dance-Theater Show; the first show of Comedy and Oriental Dance; the first event with Gala, Workshops and Party, therefore a Festival. She also introduced promotional and production elements never used before in the country in Oriental Dance. Always full house, and with positive feedback about the event and the Oriental Dance as art. ESPANOL. 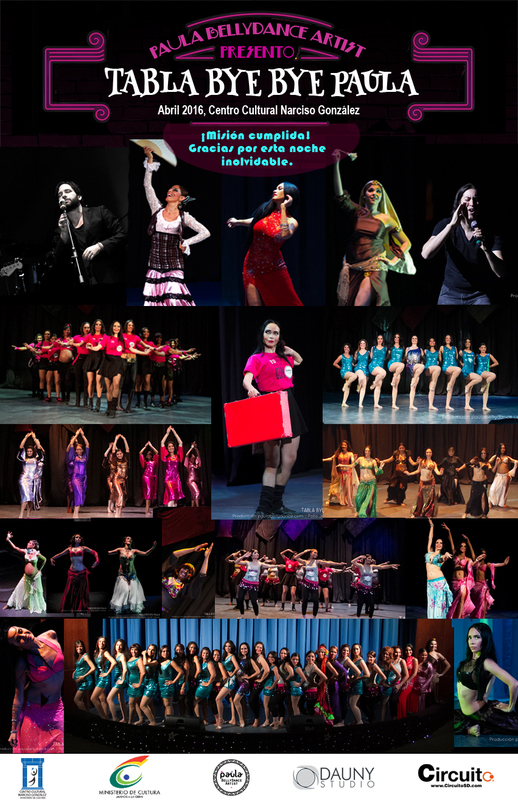 Paula ha producido espectáculos de Danza Oriental sin precedentes en la República Dominicana: El Primer Festival de Tribal Fusion; el primer Espectáculo de Danza Oriental-Teatro del país; el primer show de Comedia y Danza Oriental; el primer evento con Gala, Talleres y Fiesta. Introdujo además elementos promocionales y de producción nunca antes utilizadas en el país en esta rama. Siempre a casa llena y con retroalimentación positiva acerca de la Danza Oriental. "Dance Lover + Dream Believer"
"Amante de la Danza y de Lograr Sueños"